For more than 25 years, Executive Transportation has provided clients with outstanding limousine services. Why? Because we believe the journey is just as important as the destination. We recognize that when you book a ride with us, it's likely for a monumental occasion like a wedding or your senior prom so naturally, we want to make it count. We want to help you and your guests create an experience you can cherish for years to come. Our team of seasoned customer service representatives, dispatchers and chauffeurs work hard to provide you with a unique transportation experience you won't soon forget. And above all, you can always depend on arriving to each location with care and safety. Go ahead, immerse yourself in luxury and book a limo with us. We can promise you it will become the highlight of your night. Because after all, with us you're not just in good hands----you're in the best hands. 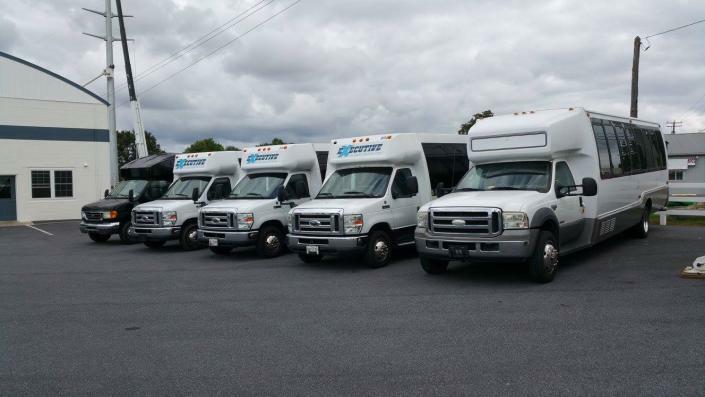 Our impressive fleet options will wow you and your guests and you'll never find yourself without viable choices. From the moment we open the door to the last stop of the night, we guarantee a memorable experience you will love!